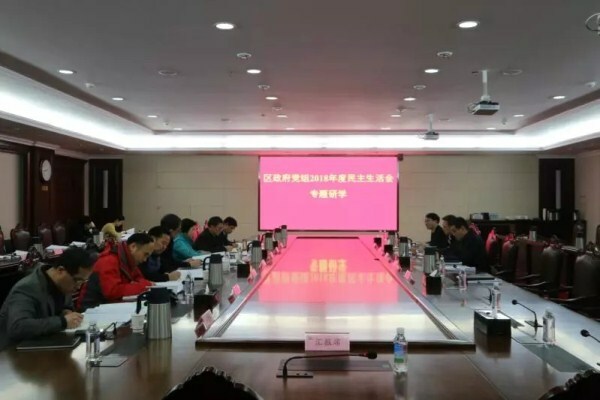 Government officials of Wuhan Economic and Technological Development Zone (WHDZ) in Wuhan, Central China's Hubei province, held a meeting on Jan 23, to discuss the zone's development goals in 2019. Peng Hao, director of the zone's management committee, presided over the meeting. It was decided during discussions that WHDZ would mainly focus on three areas in 2019. One focus would continue to be its automobile industry, with the aim of building the zone into an automobile industrial cluster worth 1 trillion yuan ($147.4 billion). And the zone will also give more focus to emerging industries, such as artificial intelligence, robotics, general aviation and new materials. In addition, WHDZ will advance urban construction and develop local amenities, such as accelerating the construction of the children's hospital and foreign language school in the zone.